Oh, Chanel. You well and truly have my whole heart. 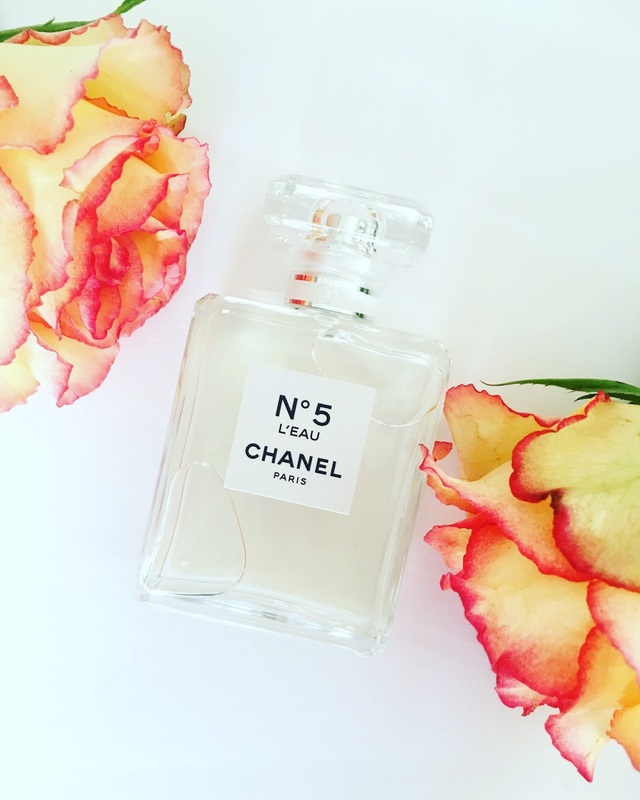 The latest buzz on the fragrance side of things is all about their re-launch of the iconic CHANEL Nº5 fragrance - a cult classic that was created nearly 100 years ago! CHANEL decided that this much-loved fragrance needed a little bit of modernisation and needed to appeal more to us younger ladies - cue the launch of CHANEL Nº5 L’EAU. The original CHANEL Nº5 was actually one of my first gifts from a high-school boyfriend and I just never took to it. I obviously was not the target market as it was a more mature scent but even today, as classic as it is, it's just not soft enough for me. The launch of CHANEL Nº5 L’EAU, however, has had all of my attention as I was very interested to see how CHANEL would modernise such a classic. I had my doubts. It's not an easy job, that's for sure! I eagerly watched the launch of this fragrance unfold and got so excited when I spent 2 weeks last month about 5 minutes from the small town in the South of France, Grasse, where the farm and the factory of the scent were born. Soon after I returned home, CHANEL sent me my very own bottle and the packaging sets the tone for a classic, minimalist, modern scent; from the white box with no branding other than the CHANEL logo and the embossed shape of the bottle to the slick sleeve that slips over as the sleek cover. The actual bottle is my ultimate - the crystal and the square, classic shape haven't steered too far away from Nº5, and I love that. Notes wise you will fine top notes of citrussy lemon, mandarin, bergamot and orange which give it a fresh, lively feel. Middle notes of hearty Spring florals - jasmine, Ylang Ylang and May rose (the Nº5 original lives to tell it's tale with this note). This beautiful bouquet is all finished off with a base note of cedarwood which is a new note and adds an element of sophistication which I love. This version is fresh, it's super clean and it's fast-become my best-ever CHANEL fragrance. It's different in the sense that it works for any mood and any occasion. I would spritz this on a casual Sunday whilst wearing jeans and a chunky knit and, at the same time, would reach for it on a special occasion like a wedding. It's interesting, yet so understated and as it wears on the skin it becomes such a signature scent that I could never imagine myself getting bored of or over-powered by. This fragrance has just hit counters (1 September) and, trust me, you are going to want to check this out. To my CHANEL fragrance-lover-readers, this is going to make you all very happy, even though I know a few of you already had your names on that waiting list! Have you tried no 5 eau premiere? They also tried to modernise no 5 with that one a few years back and it's actually the scent that got me into no 5. It was my entrance to no 5 :) I still love it a lot and wear it in spring/summer. Oh no, I love it. I just really don't like No 5 though (well it doesn't suit me) so this is the perfect lighter version. I haven't tried 5 Eau Premiere. Do they still sell it? Apologies for delayed response, but I missed the notification. Yes, they still have it. I used up my bottle and my brother bought me a new bottle for my birthday in January. You should really try the eau premiere. I think it's more noticeable as a flanker of no 5 than l'eau. The latter is too citrusy. Having said that, I bought L'eau yesterday. Only because I adore No 5 so much and love wearing it in all its variations.